When the TARDIS makes a disastrous landing in the swamps of the planet Sunday, the Doctor has no choice but to abandon Martha and try to find help. 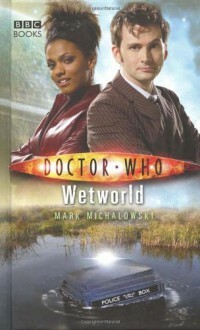 But the tranquility of Sunday's swamps is deceptive, and even the TARDIS can't protect Martha forever. The human pioneers of Sunday have their own dangers to face: homeless and alone, they're only just starting to realise that Sunday's wildlife isn't as harmless as it first seems. Why are the native otters behaving so strangely, and what is the creature in the swamps that is so interested in the humans, and the new arrivals? The Doctor and Martha must fight to ensure that human intelligence doesn't become the greatest danger of all.